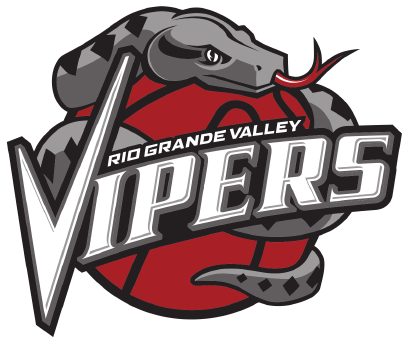 HIDALGO — With the RGV Vipers trailing by 13 points in the final two minutes, coach Matt Brase turned to little-used reserves George de Paula and Craig Victor. Playing for the third time in four days and fresh off a morning flight from Dallas, the Vipers regulars didn’t have their usual legs on Saturday, Brase said. Plus, the team has a much more important matchup looming Tuesday. The Vipers lost 114-99 to the Oklahoma City Blue but held on to the No. 4 seed and the top wild-card spot from the Western Conference as a result of the South Bay Lakers losing to the Austin Spurs on Saturday. RGV will welcome the No. 5 seed Texas Legends to State Farm Arena at 7 p.m. Tuesday. The G League postseason will follow a single elimination format for the first three rounds. The Vipers failed to eclipse 100 points for just the second time this season on Saturday, shooting 43.2 percent. Usually dominant on the interior, RGV scored only 44 points in the paint on 22-of-42 shooting. Instead, the Vipers launched 38 3-point attempts, connecting on 12 for a 31.6 percent clip. Morris finished with 12 points on 5-of-17 shooting, plus six assists against one turnover. Darius Morris was RGV’s leading scorer with 26 points, while Isaiah Hartenstein posted a double-double with 14 points and 11 rebounds. Shane Richards scored 12 points off the bench, knocking down his first four 3-point attempts during the second quarter. Richards’ second 3 gave the Vipers their largest lead at 11 points early in the second period, but OKC hit 14 of its next 17 shots to take a 63-58 advantage into halftime. Bryce Alford made five 3-pointers during the run and finished with 24 points on 8-of-12 3-point shooting. The Vipers never led during the third quarter, with the Blue building their lead as large as 11 before RGV scored the final seven points of the period to enter the fourth trailing 85-81. But the Vipers never got any closer, trailing by double digits for the final six minutes. Brase said Vipers leading scorer R.J. Hunter was missed during the comeback effort after he was ejected from the game for arguing he had been fouled on a missed jumper during the final minute before halftime. As Hunter’s shot bounced off the side of the backboard, he swung his fist wildly and shouted toward the nearest referee. The official allowed play to continue before assessing Hunter a technical at the next stoppage. As Hunter continued to argue the call, the official ejected him from the game. Hunter appeared to want to continue talking to the referee, moving around Hartenstein’s attempt to restrain him. As Hunter was leaving the court, he turned back and shouted, “You’re soft,” in the official’s direction. Brase said he did not expect the league to take any disciplinary action against Hunter, meaning the Vipers should be near full strength for Tuesday’s playoff opener. RGV (29-21) has won three out of four matchups against Texas (29-21) this season, including both at State Farm Arena and a 115-104 victory Friday in Frisco. Monte Morris, a Denver Nuggets two-way player, is averaging 18.2 points, 6.6 assists and 4.6 rebounds per game with the Vipers but has been with the Nuggets on three separate stints in March alone. Still, he said he anticipates being a part of RGV’s playoff run.